As this is my first entry I thought I would start by talking about the pictures on my home page. The first was taken in Chicago last November. It was the first picture I took using my Leica M9. I purchased the second hand camera and had it delivered to my office in Chicago with the plan to pick it up in November when I was visiting on business. The week had been busy, but on the day of departure I got up at 6.00am to go for a walk around the neighborhood and shoot a few frames before leaving for the airport. This was the first shot I took with the camera. 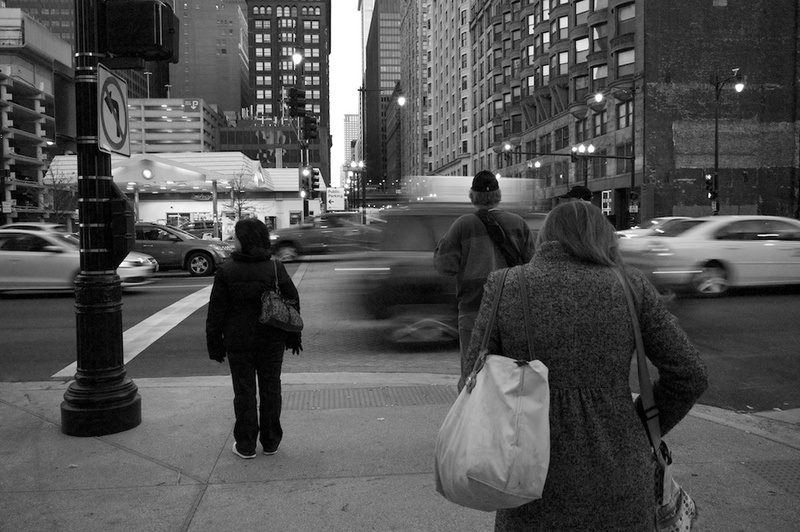 I spotted the composition of the people standing, subconsciously giving each other space and creating an almost symmetrical order , and due to the simplicity of using the camera in manual I was able to slow the shutter speed to catch the motion of the traffic very quickly before they crossed the road. From this first press of the shutter I was hooked on my Leica. This one was taken from our balcony in Shanghai, at dawn. As usual it is either myself or my wife who are up at this ungodly hour ever since the birth of our second son. 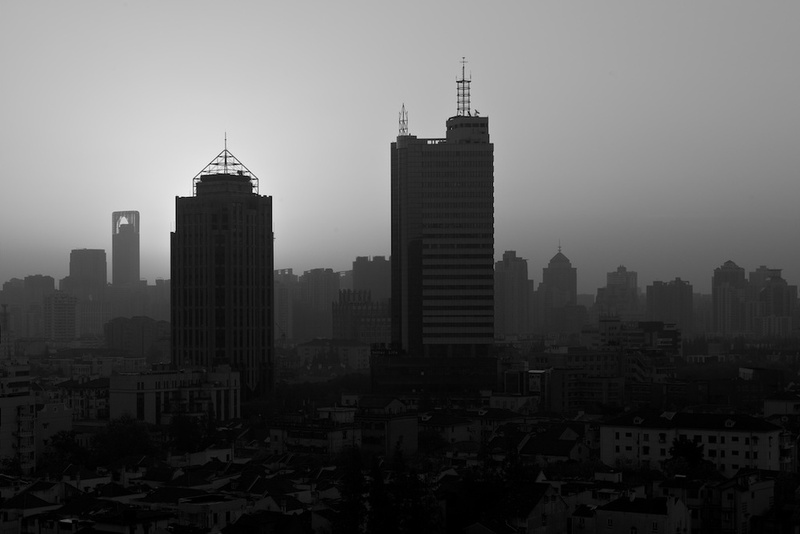 I like this in black and white because the glow is representative of the grey, polluted, diffused light that Shanghai often bathes in . This was taken down a lane in Shanghai. We live in the Former French Concession area of Shanghai , its a beautiful part of town characterized by leafy streets, low rise buildings ( for the most part ) and these really interesting lanes. 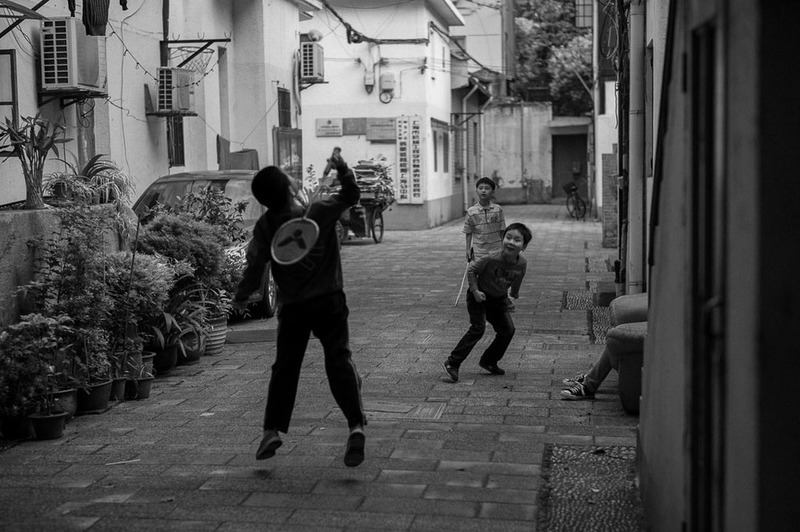 Lots of people live in houses and apartments that are accessed through the lanes, and as there is very little in the way of front and back gardens the lane itself tends to be a thriving social hub , in this case a place for the children to practice their badminton skills. 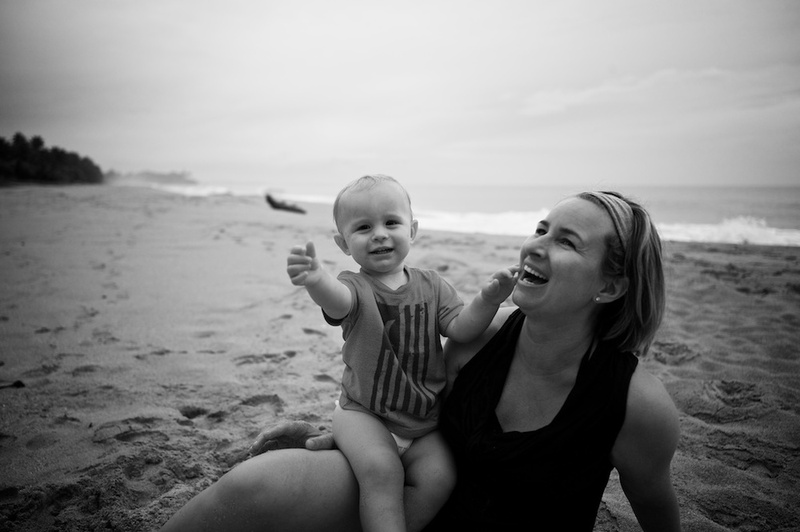 My wife and our youngest son, Jake, enjoying the last part of the day on our deserted beach in Sri Lanka . I love this picture as it seems to have a real timeless quality to it. This is Zac our eldest son. 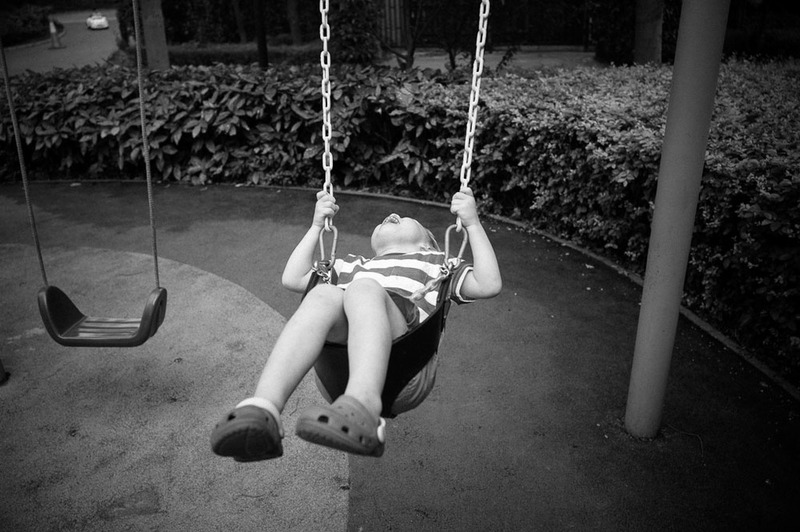 It never ceases to amaze me how much joy he gets from playing on swings, I think this picture captures it perfectly.